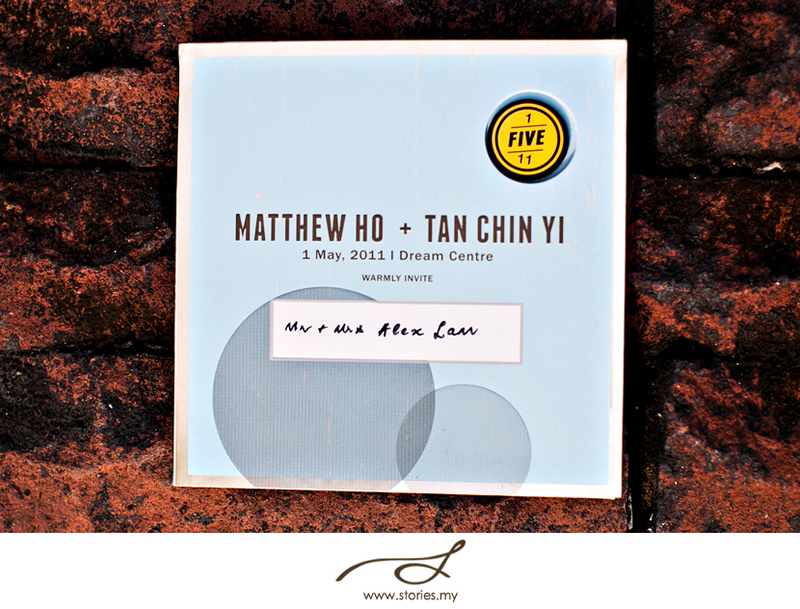 I’d like to share this card design idea that was created for Matt and Chin Yi’s wedding. 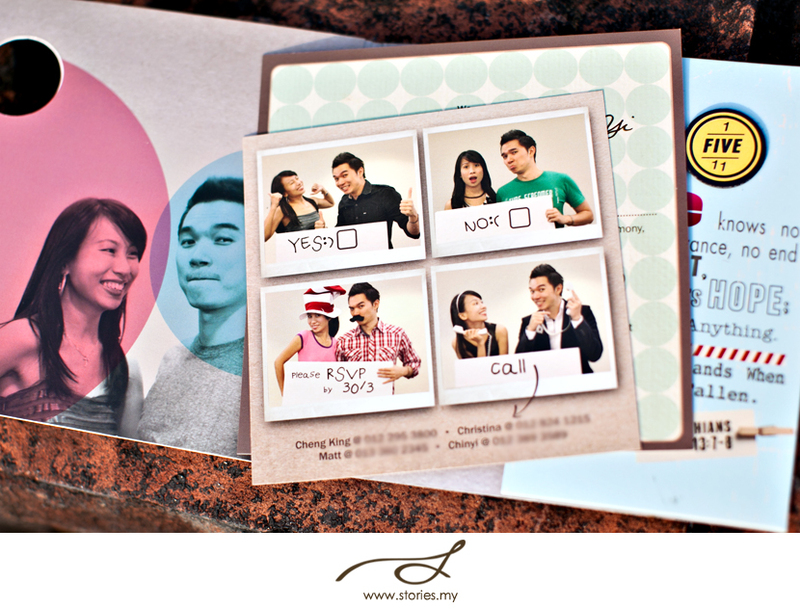 I was invited as a guest to this wedding, and I absolutely love the creative concept that is behind their wedding invite. It was designed and photographed by their friends. 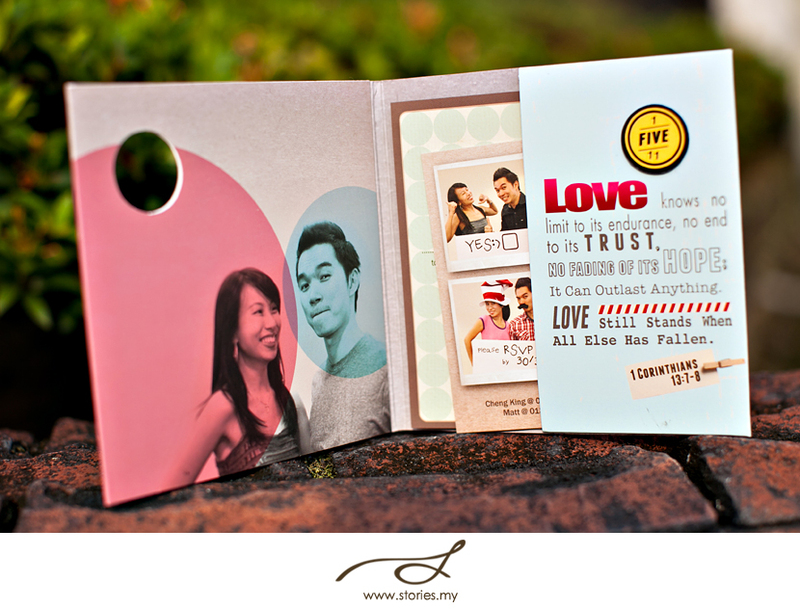 Hope this little post will inspire you while you go about your wedding planning! By the way, the little round date on the top right corner is like a pop up button. Kinda cool.